Marcia Ann Robinson, 60 of Hazel, Ky., died Saturday December 24, 2016 at Henry County Healthcare Center. She was a member of Hazel Baptist Church and she loved reading. 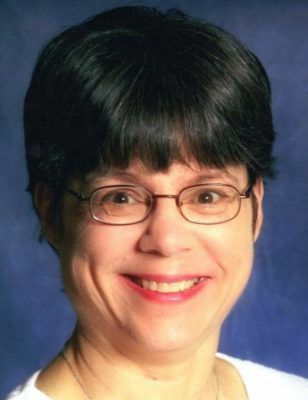 She was a retired x-ray technician from St. Joseph Hospital in Joliet. Marcia was born June 7, 1956 in Cleveland, Ohio to Theodore “Ted” Ally of Louisville, Ky. and the late Nancy King Ally. Besides her father, Marcia is also survived by two daughters, Amanda (Harold) Martin of Puryear, Tenn., and Andrea (Glen) Parker of Terre Haute, Ind. ; three sons, Joseph Robinson of Tokyo, Japan, James Robinson of Gardner, and Kristopher Robinson of Puryear, Tenn.; one sister, Patti Ally of East Peoria; two brothers, Gary Ally of Joliet, and Brian (Tina) Ally of Austin, Tex. ; four grandchildren, Alyssa Parker, Elijah Parker, Caitlin Parker, and Ariana Parker all of Terre Haute, Ind. Besides her mother, Marcia was also preceded in death by a brother, Michael Ally.